Well, those sneaky cats down at Third Man surprised us again! This time they waited until their shop actually opened to announce that their next 7” single, Karen Elson’s “The Truth Is In The Dirt,” was for sale. While I’m sure this infuriated folks that don’t live near Nashville, I obviously love not having to worry as much about what time I get there and not having to wait so long in line. On lunch, I called Amanda to let her know I was heading up there. She informed me she was already on her way so that I wouldn’t have to take an extended lunch. Reason number 4,868,385,962 to prove that I married WAY out of my league to the most awesome girl around. 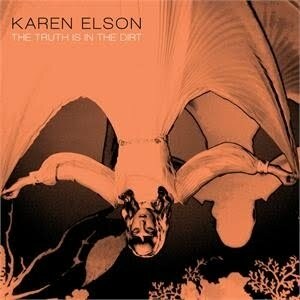 “The Truth Is In The Dirt” is from The Ghost Who Walks, Karen’s debut album that was released earlier this year. Her voice and vintage style of music sounds even cooler and eerier on vinyl and the songs take on that cool, antique characteristic even more. Jack White played drums and produced it, with Carl Broemel guesting on lap steel as well. The b-side is a stripped down cover of Donavan’s psychedelic “Season Of The Witch” from the 60’s. I love singles that include new b-sides that aren’t on the album, especially when they are really good songs. 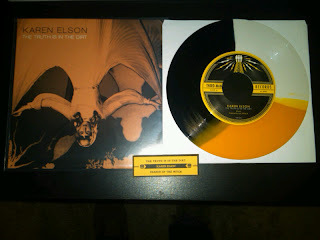 The 7” single of “The Truth Is In The Dirt” can be purchased directly from Third Man HERE. My Part-Time Cover: "We Used To Wait"